Full service website development. Strategy, Server Setup, Coding, Optimizing, SEO, Maintenance. I offer full website development including strategy, webhosting selection, server setup, layout mock up and final design, coding HTML & CSS, client and server side scripting, databases, optimizing performance, and SEO. I also explain how clients can use Google Analytics statistics to help with Search Engine Marketing (SEM), to research for effective keywords, and to monitor and maintain their websites. I offer reliable hosting services in Australia. For fast serving static files worldwide I use CDN (Content Delivery Network) via Akamai network. Please see my recent work portfolio and contact me for enquiries. 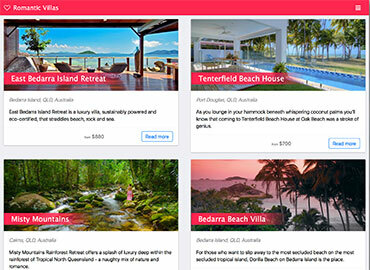 A groving portal for a collection of top honeymoon destinations. Achievement: This is the new style of the fastest website optimised for mobile devices. Whole page loads under 3.5 sec. Website is running on dedicated server with SSL A+ certificate. 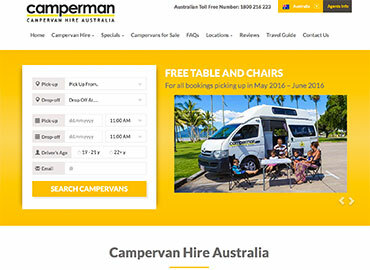 Resposive design optimised for high speed on mobile devices. Are you interested in speed up your website? Achievement: Company removed Google Adwords (huge savings) and most traffic are from Organic search. 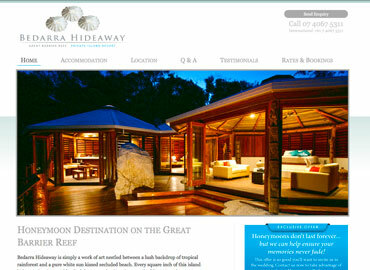 A small web portal for a collection of top honeymoon destinations in Queensland. Achievement: Organic search engine traffic increased by 150% in the first week of the launch of the new optimised website. 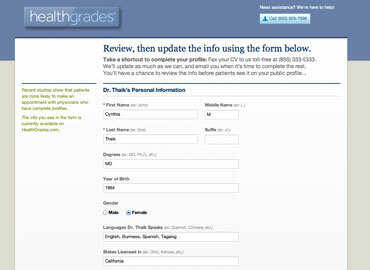 For HealthGrades (US) I developed web applications to help medical service providers throughout the USA to easily update their profiles with HealthGrades. The application also contains an administration section for customer service. Note: You can only access Healthgrades.com from the USA. 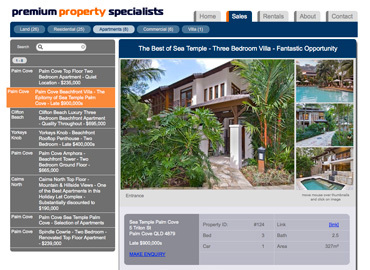 Premium Property Specialists focused on achieving sales in what is today a difficult market in Real Estate. I developed a unique Content Management System for the website which generates static HTML pages for fast delivery and optimised for Search Engines. Luxury villa accommodation for couples set on one of Australia's most coveted waterfront locations on the Great Barrier Reef. Achievement: Since optimising the website, traffic has doubled. 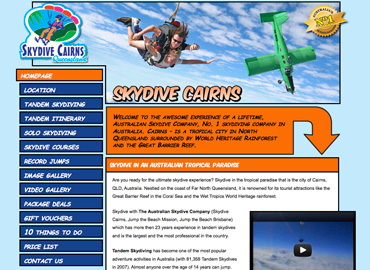 Skydive Cairns with The Australian Skydive Company, Jump the Beach (Mission) and Jump the Beach (Brisbane) are high traffic websites that provide information for tourists. 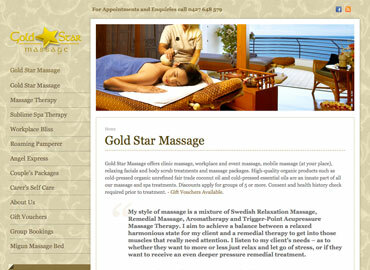 Gold Star Massage offers clinic massage, workplace and event massage, mobile massage, relaxing facials and body scrub treatments and massage packages. I modified and adjust Wordpress template and taught client CMS. Misty Mountains Homestead presents a unique location for film and television production, corporate events or short term luxury rental. Peter Lik’s complete Australian photographic collection with two great photographers Bob Halstead and Paul Ewart. 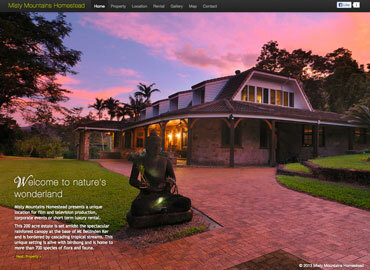 This website is a fusion of Photoshelter web services (custom website modification) and standard website. 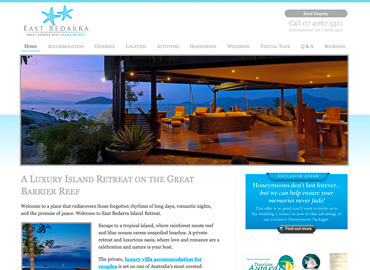 Bedarra Hideaway Retreat offers total relaxation and is a slice of nature design and cool vibes, the ultimate honeymoon destination, private wedding venue, or unforgettable romantic getaway. 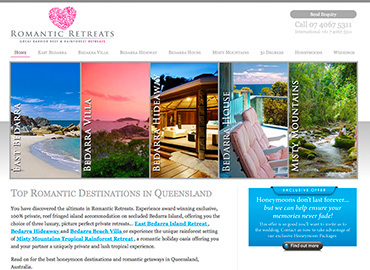 Another website under Romantic Retreats management with new logo and layout match branding. 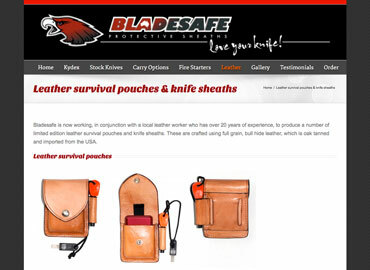 Blade Safe is the only Australian manufacturer of custom Kydex sheaths for all makes and models of knives, machetes, tools and other blades. Very complex website upgrade from 10 pages to Wordpress responsive layout website with over 100 pages and new photos. 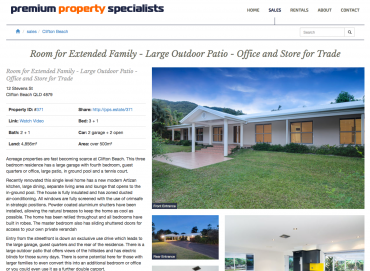 This is a new version of Premium Property Specialists with high level of optimisation for fast loading and with responsive layout for desktop[ and mobile devices. Thumbnail images are embedded into HTML code to reduce number of requests then high resolution images replace thumbnails via fast Akamai CDN. Average load of a whole page is around 2 sec! 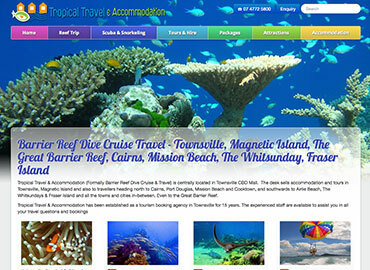 Tropical Travel is located in Townsville and sells accommodation and tours in Townsville, Magnetic Island, Cairns, Port Douglas, Mission Beach and Cooktown, Airlie Beach, The Whitsundays & Fraser Island. New website layout with fast loading optimised for mobile devices. 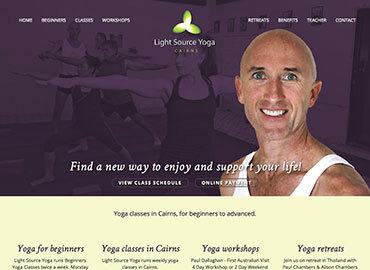 Light Source Yoga runs weekly yoga classes in Cairns, for beginners to advanced. New easy Content Management System, new layout and custom Google Calendar. 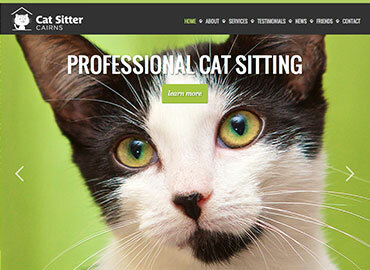 Cat sitters and in home pet sitting services in Cairns area. Home visiting service for pets who prefer to stay at home when their owner goes on holiday. 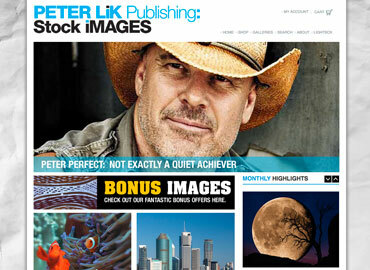 New fresh one page layout website with my original photos.